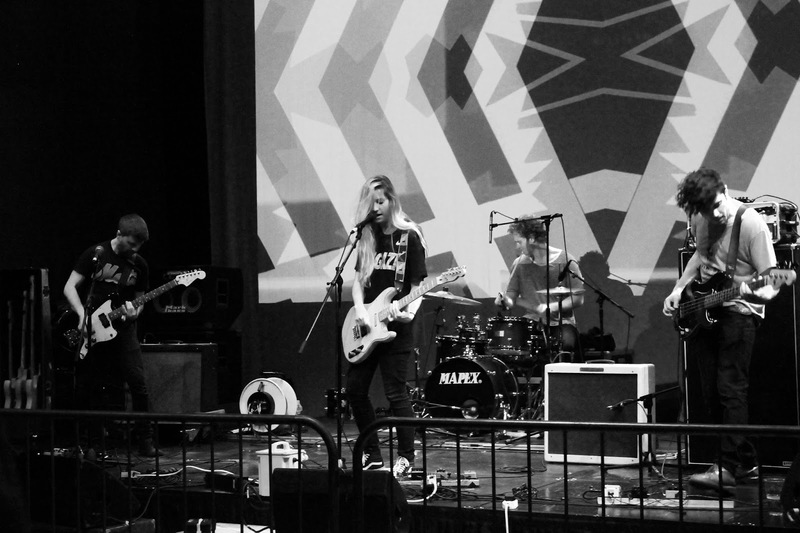 The American Alternative Rock band gave November's Nottingham Contempoary Affinity Festival, a much needed grunge injection into a what could be seen as a 'quiet' afternoon of art and musings. Creating an electrifying, intimate experience to the lucky few who made it down to "The Space", this band was definitely one of the highlights from the event. Labeled as the band who fuse together sounds of the 90s with punk, you simply couldn't take your eyes off of their (short but sweet) 30 minute set. 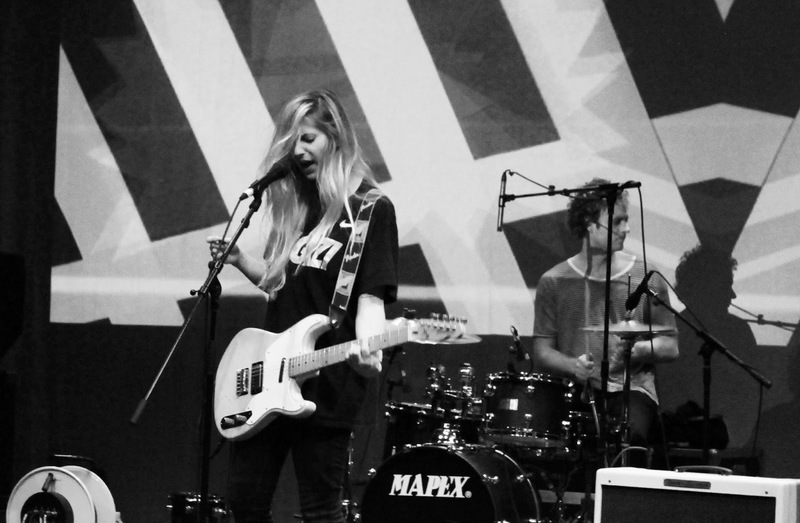 With a set list ranging from soft spoken rock songs to face paced screaming in a matter of minutes, their songs definitely had a "Hole" feel to them with the added raspiness of the lead singer Alicia's voice. Another 90s band that came to mind, whilst watching the set was Sonic Youth as besides from the obvious similarities between the gender-ratio of both bands. 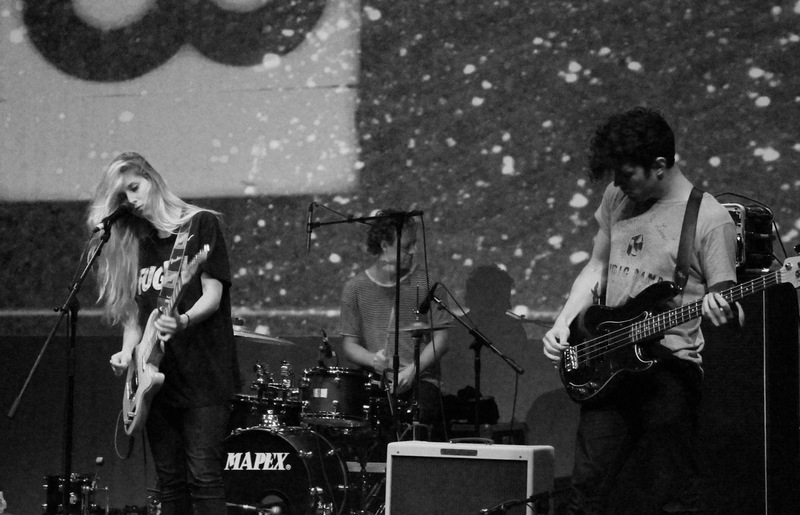 The textural sounds created from the both the guitars and drum felt like a nod to Sonic Youth's album "Dirty". 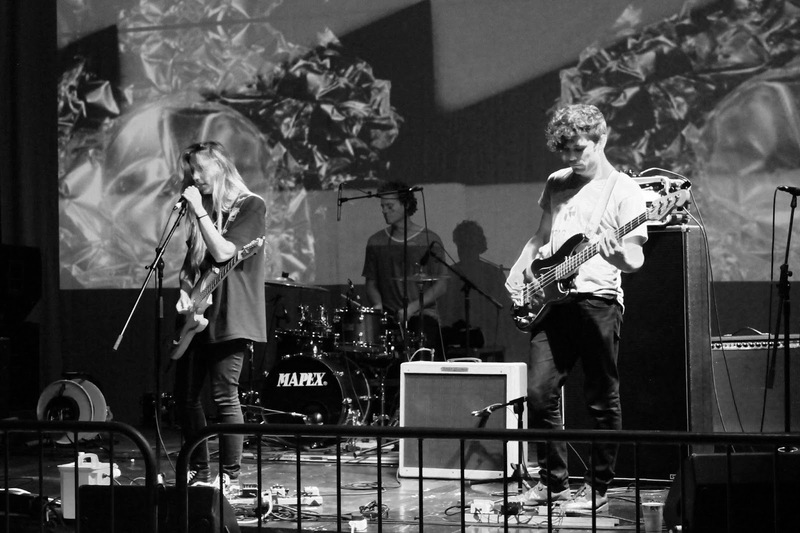 If you want a comparable current band then Bully's song "I remember" has the same face paced energy of Palma Violets "Rattlesnake Highway". Or if the 'Violets' aren't your cup-of-tea then give the artist Courtney Barnett a listen-who is in fact cited as one of their key influences. Singing about breaking your sister's (and your own) arm, body-issues, periods and your dirty bed sheets. Their latest album "Feels Like" adds a candid insight into the issues we are all exactly experiencing/or have experienced. A track listing that acts both as an energy source and 'breather', by pairing fast paced screaming next to a more chilled vibe. The album has a true 'chocolate box' effect, as you never really now what emotion you're going to experience next. Be sure to give them a listen below!